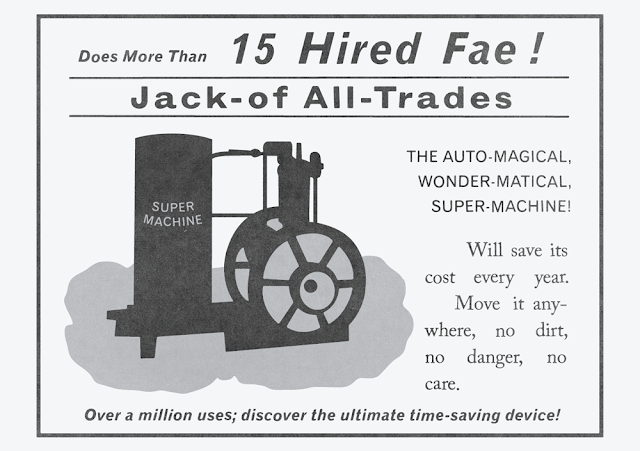 The sponsor for this week's Dispatch Ontario, is none other The Auto-Magical, Wonder-Matical, Super-Machine! Does More Than 15 Hired Fae! Jack of All Trades. Will save its cost every year. Move it anywhere, no dirt, no danger, no care. Over a million uses; discover the ultimate time-saving device!